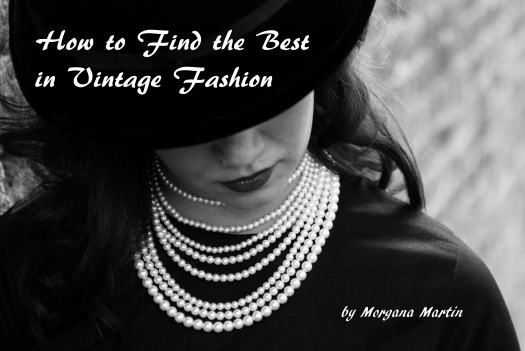 So many clutch purses are made today in vintage styles, but there’s nothing like the quality and attention to detail found in true vintage examples. I’ll ALWAYS go for those instead! I love rigid handles that can be folded inside the purse to hide and beautiful satin fabric covering is always elegant and versatile. Two compartments inside with a see-through vinyl divider is so practical, too. This Garay handbag is elegant and probably never carried. There is a bit of storage wear, but the inside is absolutely perfect. Sigh – another happy escapade! Posted on March 6, 2017 by Morgana Martin, the magicvintagespy. This entry was posted in accessories, bag, blogger, buy, buying, classic, cocktail party, dressy, early 1960's, elegance, elegant, evening, fashion, film noir, find, guidebook, handbag, Happy Days, how to, I Love Lucy, Kennedy era, ladies, Mad Men, magicvintagespy, mid-century, photos, purse, references, retro, shopping, store, stores, true vintage, Uncategorized, vintage, vintage accessories, vintage blogger, vintage expert, women's and tagged '50's, 1950's, 1950s, 1960s, accessories, bag, blogger, buy, buying, classic, clothing, clutch, cocktail party, dressy, early 1960's, elegance, elegant, evening, fashion, Fifties, film noir, find, Garay, guidebook, handbag, Happy Days, how to, I Love Lucy, Kennedy era, ladies, ladies', Mad Men, magicvintagespy, Magicvintagespy.com, mid-century, photos, purse, references, retro, satin, shopping, shopping tips, shopping-tips, store, stores, true vintage, Uncategorized, vintage, vintage accessories, vintage blogger, vintage clothing, vintage expert, women's. Bookmark the permalink.